New loan signing Aman Verma (right) will, possibly, be making his debut for us in our first ever visit the the Newport Stadium but not our first ever game against Newport County. Even with an AFC tagged onto the end of their name they're still basically the Newport of old that seemed to be perennial strugglers in the Football League until their eventual relegation to the Conference in 1988. They never played many games in non league though because a 'saviour' stepped in and helped them move towards bankruptcy and expulsion from the league. They reformed with the AFC tagged on and re-started in the Hellenic League and incredibly ground shared with Cotswolds village side Moreton in the Marsh. Later on they played their home games just down the A449 at St Georges Lane. Now back in the Conference they have joined the ranks of Aldershot and Barrow in being former League clubs trying to get back to what they see as their spiritual home. The ironic thing is they're pinching our players to do it. Here goes: Robbie Matthews, Paul Bignot, Sam Foley, Lee Baker and Darryl Knights are all there now after being deemed either not good enough or too expensive for Kidderminster Harriers. Out of those only Lee Baker will not make an appearance for his new side after missing all the opening games of the new season so far with a badly bruised foot that he picked up pre-season at Gloucester. This came on top of a bout of glandular fever that had already knocked him about a bit. They'll also be without Wayne Turk through injury. Back to us then. 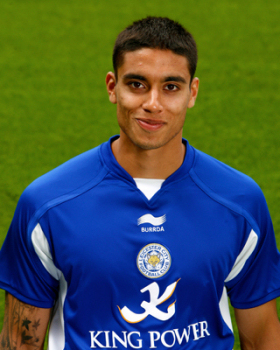 As mentioned at the start we'll be having a new face in the team with the arrival of Aman Verma on loan from Leicester City. The 22yr old midfielder has yet to make an appearance for his side but has spent time out at Crewe and Histon on loan and that's it. Not much else is known about him but one wonders why, at that age, he's not progressed further with City or left. We'll definitely be without John Finnigan for the game and possibly Mark Albrighton, Callum Gittings and Nick Wright for the game. Finners will be out for another couple of months while Albrighton missed the Wrexham draw with a leg injury. Nick Wright and Callum Gittings both picked up injuries in that game but Nick is expected to be ok whereas Callum is doubtful. We'll also have Marc Williams back for us after having to miss the game against his parent club after they refused him permission to play. He'll also be missing for the Tamworth game on Monday and the trip to Altrincham next Saturday after being called up on international duty. There is another one that could be seen as coming back but has actually yet to make his debut for us. Lee Vaughan has now finished his four match ban picked up while at Telford and will automatically come into the reckoning for the trip to Newport. If he does then we could expect to see a bit of a re-shuffle in defence with stand in full back Tom Shaw moving back into midfield. Where Tom Sharpe and the new boy Verma stand in all this we have yet to discover. Lewis, Stevens, Vaughan, Mike Williams, Sharpe, Albrighton, Verma, Griffiths, Finnigan, Byrne, Shaw, Briscoe, McPhee, Briggs, Hankin, Morris, Wright, Blair, Gittings, Hadley, Marc Williams. Thompson, Blackburn, Garner, Bignot, Collins, Warren, Todd, Rose, Rogers, Reid, Foley, Henry, Sole, Thorne, Odhiambo, Taggart, Matthews, Knights, Hughes, Colborne, Manship, Armitage, Douglas.